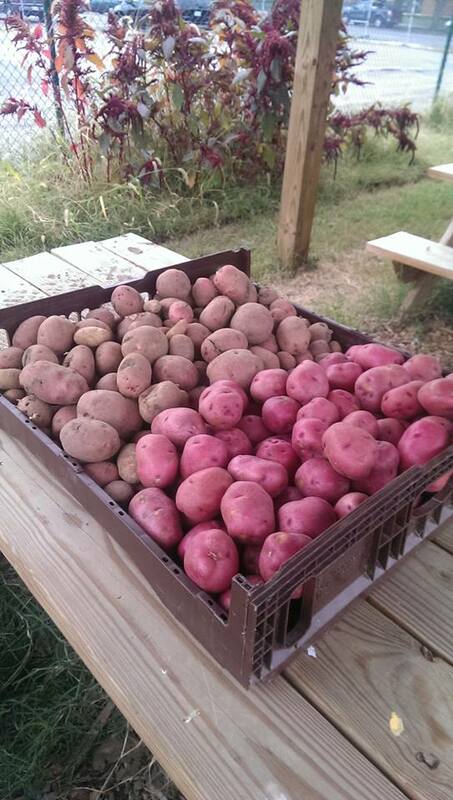 6 months ago our Kindergartners and 1st-graders planted 20lbs of seed potatoes, half in the ground and half in trash cans; today the now 1st and 2nd graders took home some of the 250lbs produced! 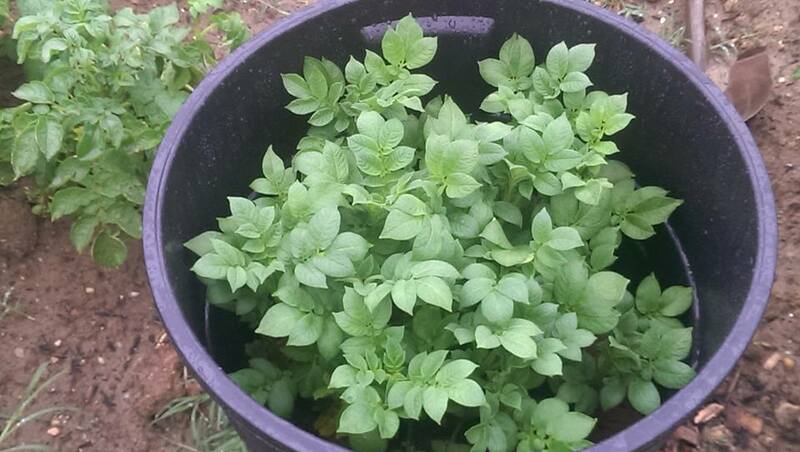 As the potato plant grows taller, filling in the trash can with soil to leave the top one inch of leaves every couple of weeks will fill the trash can with potatoes ~ the kids planted eye sections of two potatoes in each trash which yielded a total of 10lbs in each can! 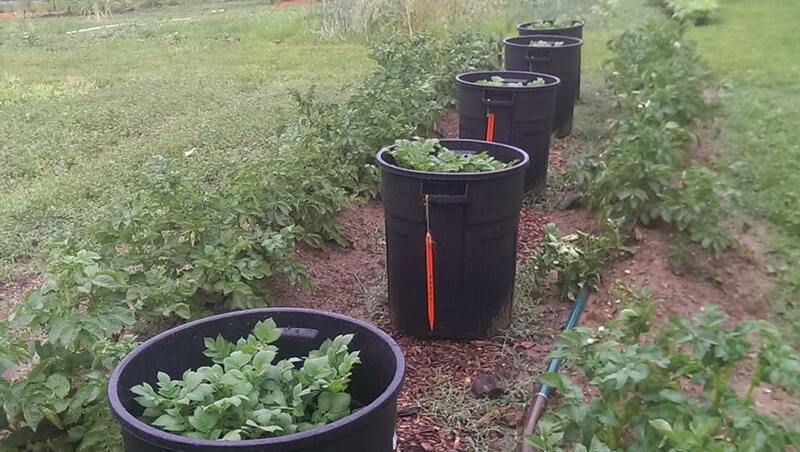 A row of Yukon Gold and a row of Red Norland flank the five trash cans planted by our Kindergartners and 1st graders in April ~ almost 6 months later, both rows and cans yielded almost 250lbs of potatoes! 750lbs donated to DC Central Kitchen, 50lbs donated to the Golden Rule Plaza retirement home, and the remainder taken home by each current 1st and 2nd grader!